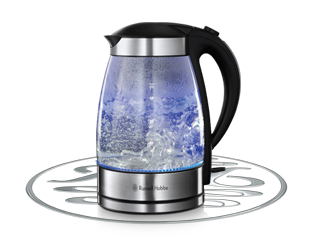 The Russell Hobbs Illuminating Glass Kettle features a striking neon blue illumination and is perfect for creating that all-important wow factor in the kitchen. 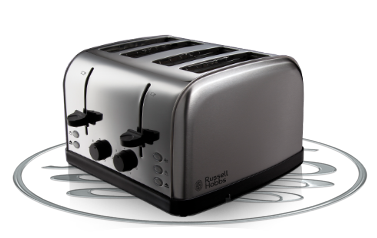 High performance and classic design are key to this Russell Hobbs Futura 4 Slice Toaster, featuring variable browning control, frozen bread setting and removable crumb tray. 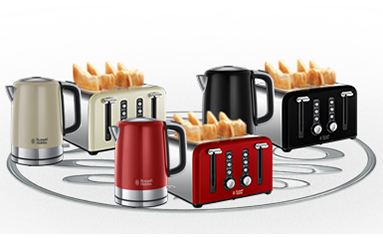 Take a look at the Russell Hobbs collections, in range of different colours. Perfect for any stylish kitchen. The Windsor Kettle and Toaster Collection, exclusive to Currys incorporates style and colour. A superb accompaniment to any kitchen. 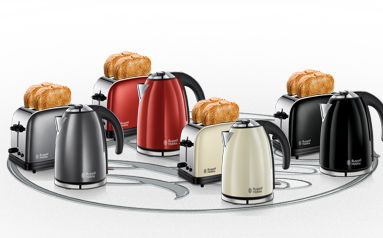 Add some colour into your kitchen with the Russell Hobbs Colours Kettle and Toaster Collection. The stylish range comes in red, cream, black and grey, with silver chrome accents - a perfect addition to your worktop.